This weeks Epic Fitness client spotlight belongs to Eden Frazier. 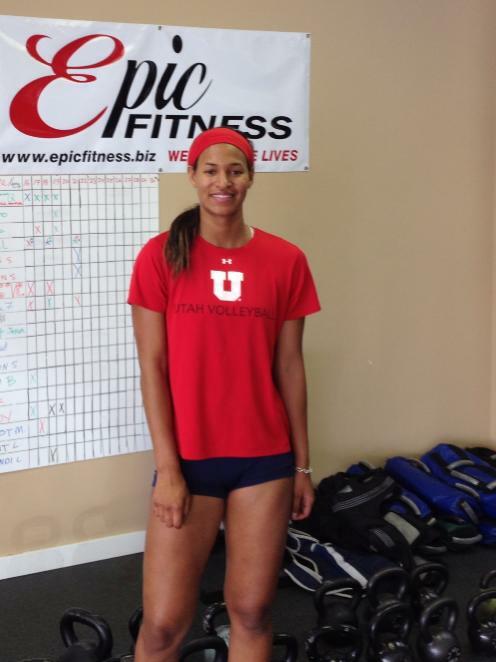 Eden is a University of Utah Volleyball player and spent the last 3 months at Epic Fitness in an off-season Volleyball training program and reached her goal of increasing her vertical by 2″ inches, up to 25.5″ and touching 10 feet no problem! Congrats Eden! ← Great Total Body Class!